There’s a lot of Android training available for application developers, quite less for embedded system developers, and very little for admins and deployment engineers. The information is there, but it’s split into millions of tiny bits across millions places. 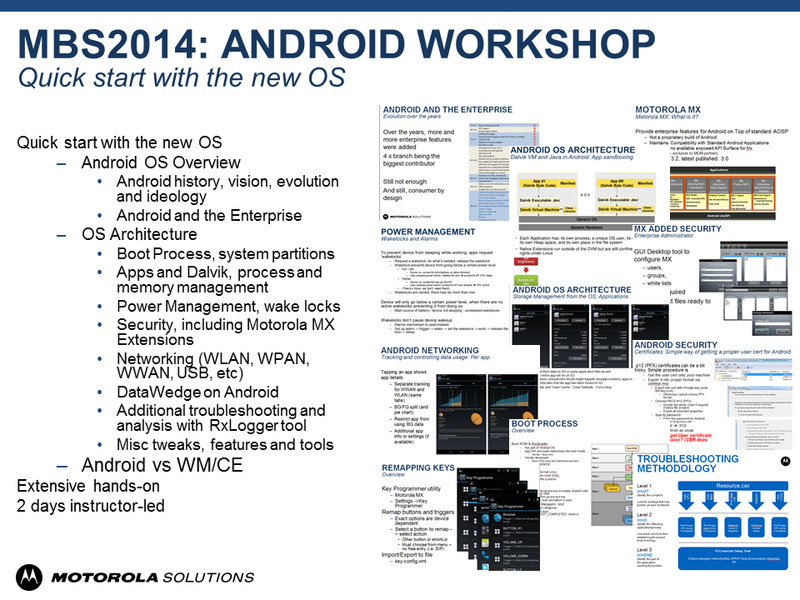 So I tried to compile the most useful info into this 2-day workshop that goes about Android in general, and Motorola (see my disclaimer page) Android specifics in particular. It’s not exhaustive, since the ecosystem is still developing, but gathered good reviews from our TAs and trusted partners during the pilot. Do you know a good non-developer Android training?